Zebco and the Future Fisherman Foundation offer “Tackle for Educators” Program. In an effort to help spur the Fishing Industries R3 movement of retention, reactivation and recruitment of anglers, Zebco, and the Future Fisherman Foundation are on a mission to make access to fishing equipment simpler and easier for educators and community groups across the country with the re-introduction of the F3 Tackle for Educators program. Under the new agreement Zebco will offer three tackle packages designed to cover the community group or club running a one day fishing derby to the experienced aquatic educator looking to re-stock their inventory. The Future Fisherman Foundation will be there to provide assistance to these groups as well as facilitating the ordering process on their website futurefisherman.org. “The Tackle for Educators program was developed many years ago to aid aquatic educators, schools and groups wanting to run fishing clinics and educational events across the country” stated F3 Executive Director Mark Gintert. “That process offered a wide variety of products but was a little complicated, time consuming and intimidating especially for those who were just getting started. Our goal with this new program is to make things much simpler and quicker with the three-package format” added Gintert. “Helping aquatic educators and community groups grow the sport of fishing is central to our mission at Zebco Brands” commented Steve Smits, President of Zebco North America. “We wish to provide significant savings to these valuable partners and help them extend their budgets and reach within their communities”. Package #1 is the “F3 Event Kit” which provides 20 of the colorful Zebco Slingshot 202 rod and reel combo’s. The package has unbeatable bulk pricing with free shipping delivered right to the groups designated address. Ordering is simple and the units are spooled with line and ready to go right out of the box. Package #2 is the “F3 Educators Kit” which provides the perfect balance of rods/reels as well as basic terminal tackle for those groups teaching a fishing class or hosting a fishing event in their community. The kit includes 25 Zebco 202 flat board kits and 5 of their Genesis Spinning rod combos which gives participating groups what they need to get their program underway. Package #3 is the “F3 Advanced Educator Kit’ which is designed for the seasoned aquatic educators who are looking to re-stock their equipment for long term use. This kit utilizes 25 of the legendary and ultra- durable Zebco 33 rod/reel combo and again prices include delivery to their designated address. Zebco Brands (www.zebco.com), based in Tulsa, Oklahoma, U.S., is a leading marketer of fishing tackle and outdoor gear sold under a portfolio of brand names. The ZEBCO, Rhino, and Martin brands compete in recreational freshwater rods and reels. The Quantum, Fin-Nor, and Van Staal brands are targeted at avid fisherman from freshwater to offshore saltwater. The Cajun Line brand competes in fishing line while the William Joseph and Badlands brands provide serious packs and gear for fly fishing and hunting respectively. Zebco has been in the fishing business since 1949. 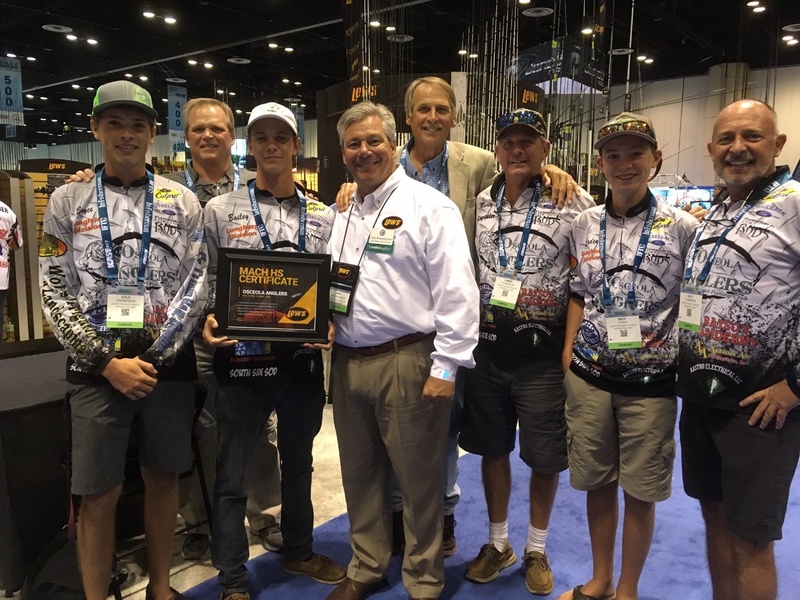 (July 2017) Lew’s celebrated the success of its young Mach High School Fishing Product Grant Program recently during a press conference at ICAST, the annual fishing industry trade show held earlier this month in Orlando. Since the February launch of the new Lew’s program, an initiative which is managed in partnership with the Future Fisherman Foundation, product grant packages consisting of rods and reels have been awarded to more than 60 high school fishing teams across the country. School teams must apply for the grant online at FutureFisherman.org. Those meeting the criteria specified in the application are eligible for the product grants featuring the popular Lew’s Mach rod and reel combos. Lew’s also introduced the latest addition to its Mach series while at ICAST 2017 – Mach Crush spinning and baitcast reels and pre-mounted Mach Crush combos. Mach Crush products feature the series’ signature bright orange-color accents that complement their black finishes in an attractive color combination that is sure to be a hit with young anglers across the country. The Osceola Anglers High School Fishing Team from the Kissimmee/St. Cloud area in central Florida attended the Lew’s ICAST press in representation of high school programs across the country that are taking advantage of and benefiting from the Lew’s product grant initiative. The Batavia High School Bass Fishing Team recently competed in the IHSA State Bass Fishing Championship on Lake Caryle in Central Illinois. This video highlights their journey along with their Lew’s Product they received through the High School Grant Program. “One of my team members has been saving to buy himself a new bait caster combo and when he won the Lew’s Mach Combo at our last event he was just thrilled,” Post added. “We’re also going to raffle off one of the Mach combos at our year end banquet, which will really help us with our funding” Cited Post. “We can’t thank Lew’s enough for all that they have done for fishing teams like ours”. 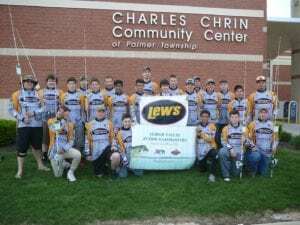 Get your team involved in the Lew’s Grant Program by going to www.futurefisherman.org or www.Lew’s.com to start the application process now!